Canoe camping is one of the few hobbies I’ve stuck with longer than a few years and one of the things I enjoy most in my life. 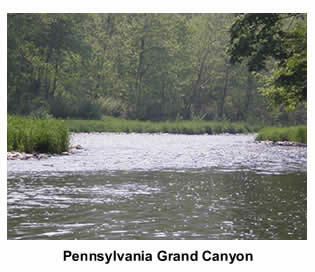 My first canoe camping trip was in the summer of 1987, on a small creek located in Clearfield County, Pennsylvania. There were six of us on that first canoe camping trip and we continue to canoe camp together to this day. This article will provide the basic information that you will need to get started on your first canoe trip, and hopefully turn canoe camping into your lifelong hobby. Your destination is a major consideration because the longer your trip and the more challenging the water the more technical things become in terms of packing food and gear, experience level and vehicle shuttles, so it’s very important to select a trip that is within your ability. Inexperienced canoe campers can easily manage a multi-day river trip with some guidance from experienced canoe campers but there are always those who want to give it a go without any guidance or experience. If you are one of those people I’d suggest doing your first canoe camping trip on a lake or slow flatwater river. If you decide to descend a river on your first canoe camping experience use some common sense and choose something in the class 1 range. After that trip you should be ready to move on to something a little more challenging. 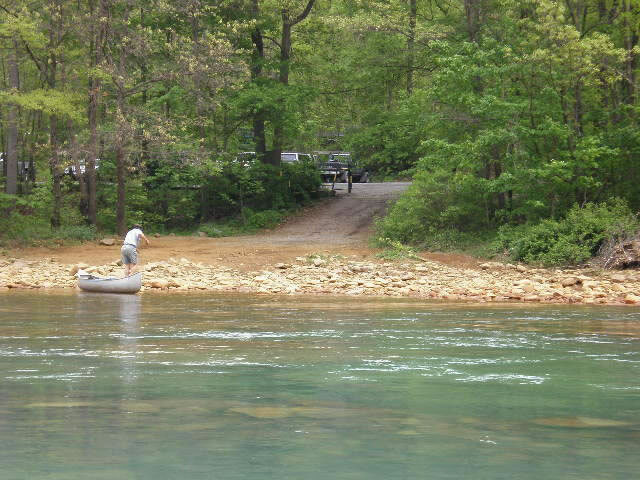 Read an article about on one of our favorite canoe camping rivers in Central Pennsylvania. It’s called the West Branch of the Susquehanna River and is very popular for overnight canoe trips through a slightly remote region of North Central Pennsylvania. It’s the perfect river for a first-timer canoe camper. First-time canoe campers don’t often have the luxury of choosing the perfect canoe for their trip because they are often using a borrowed canoe. But the main considerations in choosing your canoe is the length and design. In most situations the ideal canoe for canoe camping should be in the 16ft-17 ft length range and the design should be a touring design that provides both good stability, maneuverability and tracking. Read more about choosing canoe designs. A gear list can become rather lengthy in terms of what you’d like to have on a canoe trip but let’s start with the absolute must-have gear that are often overlooked. Of course then you have all the other items that make the trip more comfortable but not necessarily essential for survival. As you can see the items you could take along on your canoe camping trip are endless. The amount of gear you take with you depends on the length and remoteness of your trip as well as the location of your trip. For example when wilderness canoeing you are likely going to portage across land for long distances so you are limited to the amount of gear you can pack. My last trip to a remote region of the Adirondacks proved that I’m no expert at wilderness canoe camping, but I have successfully completed a few wilderness canoe trips in the St. Regis Canoe Area. Wilderness canoeing is advanced level of canoe camping that includes map reading, trip scheduling, canoe carries and a degree of efficiency that isn’t alway so easy to master and certainly not for the first-time canoe camper. You can read my Adirondacks Canoe Camping Trip Report to find out how challenging wilderness canoeing can be. As you probably guessed there is a lot more to canoe camping than what I wrote in this short article, but hopefully this article gave you more incentive to pursue canoe camping. For more information browse through the many articles on this Website, or visit your local canoe outfitter or your local canoe & kayak club. Thank you for the primer on canoe camping. I came across your site while doing research on canoe camping in Pennsylvania and also I enjoyed your article on canoe camping on the West branch of the Susquehanna. It is one of the most beautiful areas of the state. Thanks again, and Happy new year!